Ground Penetrating Radar is the most accurate and reliable technology to locate an underground fuel tank. 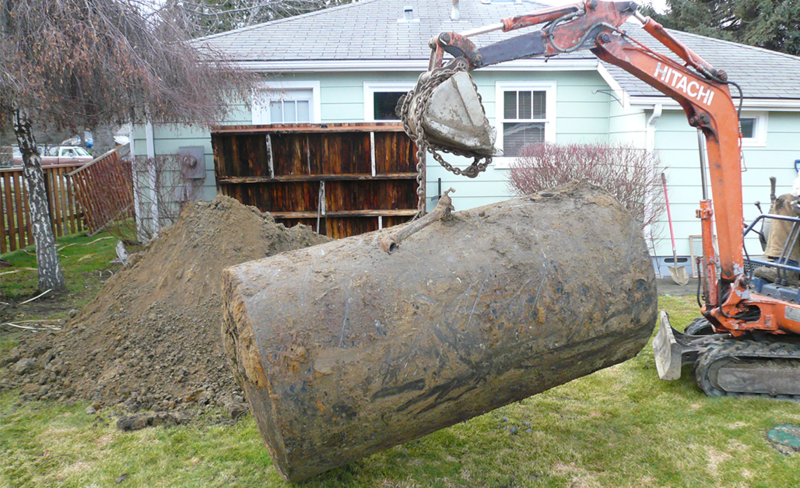 Our technicians have experience locating underground storage tanks in both industrial and residential settings. This service has frequently been used with potential home buyers and sellers to facilitate prospective real estate transactions. An underground fuel tank left in the ground for years can decompose and the left over fuel can contaminate the underground soil and water table. The potential costs to remediate these damages could be very costly. If you are buying or selling a property and believe a fuel tank may be present, hire Precision Radar Scanning to survey the property using ground penetrating radar (GPR). If GPR scans reveal the presence of an underground fuel tank, the precise location and depth of the tank will be provided. In the case a tank is not found, Precision Radar Scanning will provide a report detailing the areas investigated. As photographed here, a tank was successfully located by Precision Radar. 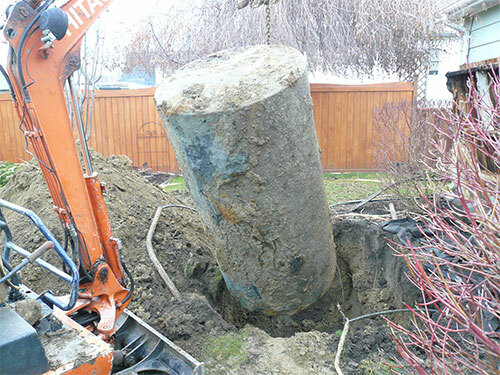 This tank was removed and inspected without costly soil remediation and inspections. We work with a local company that can remove and inspect the tank in a cost efficient manner. Precision discovered the tank in the adjacent photograph. If an oil tank is discovered, Precision Radar Scanning will aid you in the removal process. We work with a local removal company that has years of experience and can help you remove the tank in a cost efficient manner. 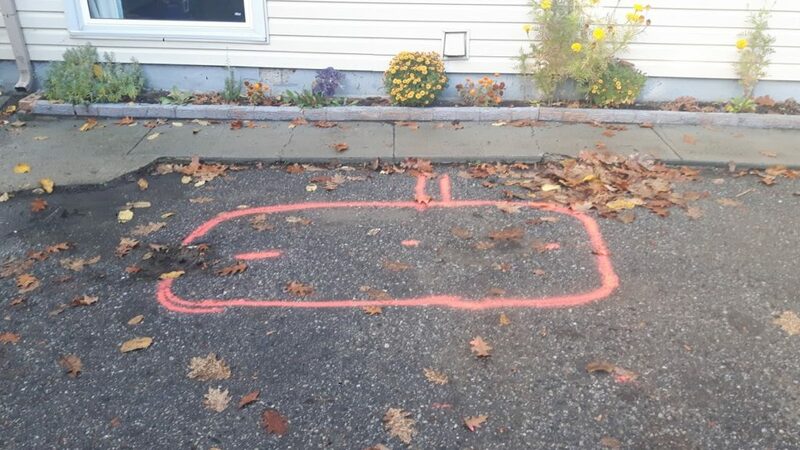 Ground Penetrating Radar can detect an underground fuel tank situated below a concrete or asphalt driveway. Picture displayed shows the exact location of an oil tank discovered below an asphalt driveway. A depth will also be provided to aid the tank removal company.